Increasing workers comp rates continue to force employers to shop insurance online. Each state in the U.S. administers it own workers' compensation system. 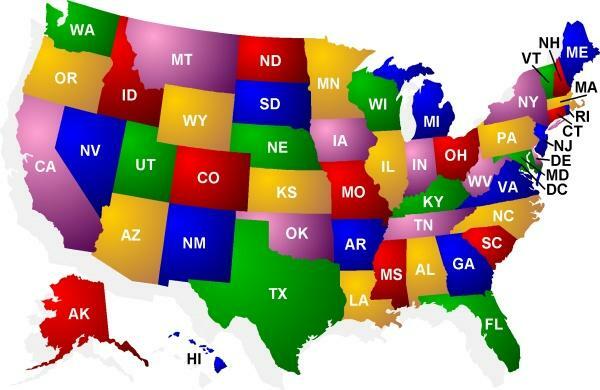 Therefore, each state also establishes or approves work comp rates for each classification code utilized by the state. Surprisingly, workers compensation rates may vary by 100% or more depending on where an employer purchases workers compensation insurance. Part of the cause of this variation is created by the actual losses in each class code by state as well as the cost of living in the state. State workers compensation rates are designed to reflect the cost of claims and losses for each scope of work or classification code. Class codes with greater losses will have a higher rates based on the statistical data of any given state. However, the loss data for similar class codes can be significantly different by state. These calculations consider factors such as the number of claims, cost of medical services, and the cost of replacing lost wages in the state. 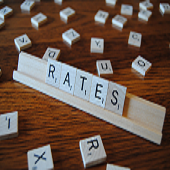 Since states will have varying results in terms of frequency and severity, rates will also vary based on actual claims. As an example, lets do a hypothetical comparison between Missouri and California. Since the average wage and the average cost of medical care is lower in Missouri, it follows that the overall cost of losses in similar class codes should amount to a lesser rate required to recoup the costs associated with claims of a similar nature in California. Therefore rates will generally be lower in Missouri unless an anomaly exists within a particular class code. Anomalies can exist when certain states have a disproportionate quantity of certain industries to classes of business. 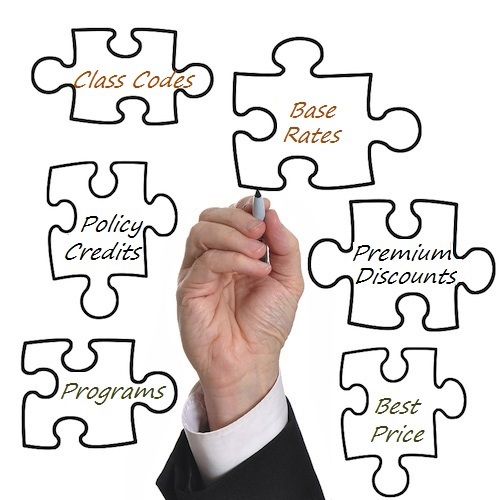 While all monopolistic states and a few other states such as Florida, and Wisconsin set the base manual rates all insurance companies must use for each classification code, most states allow private insurance companies to file their own rates within the established guidelines for each state. New Jersey also sets workers comp rates, but carriers are permitted to offer a limited range of policy credits and debits. New York allows carriers to set their own rates, but does not allow additional policy credits and debits. Many of the larger insurance carriers typically own additional subsidiary insurance companies with different sets of filed rates for the same states (this is also known as the writing paper for insurance coverage). This strategy enables the insurance company to file more competitive or less competitive rates depending on their desirability of a particular risk or class code. By utilizing multiple writing papers, insurance companies can file and use multiple rating tiers of rates within most states. Underwriters from the insurance company can then determine which writing paper to use based on loss history, management experience, premium size, and other underwriting factors. Knowledgeable insurance agents may be able to help influence which rates are used by insurance companies by better understanding and marketing your business. Most states require insurance carriers to apply a premium discount to premiums over a certain dollar amount. This discount directly affects employers' rates and it is based on the theory that there are fixed costs associated with servicing a workers compensation policy. Larger premiums receive these credits because the relative expense of these fixed costs should be lower as premium increases. 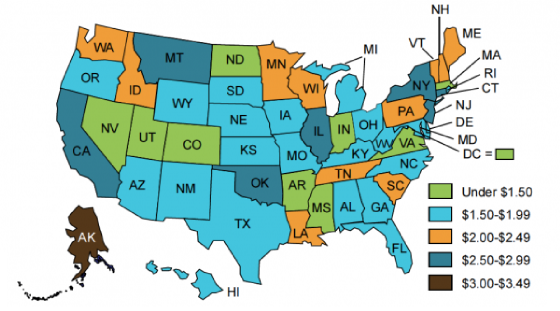 Most states issue a Premium Discount Table for insurance companies to use in rating insurance. Premium discounts generally run between 4% and 10% depending on the total premium size. An Experience Modifier (also known as EMR, MOD, or E-MOD) may be the single most significant and controllable factor in determining workers' compensation rates for each employer. It is the numerical representation of how your claims experience compares to other similar businesses within your state. Employers essentially start our with a MOD of 1.00. This means they pay 100% of the rate assigned to the classification code by the insurance carrier. Once an employer reaches a certain number of years with coverage and/or premium size, the state begins issuing an Experience Modification Factor to the insured. This factor generally coincides with the annual policy renewal period and may change each year. Insurance companies must apply the MOD to their rates. There are two types of MOD's: Debit Mod's and Credit Mod's. A Credit MOD is a factor less than 1.00 and a Debit Mod is greater than 1.00. 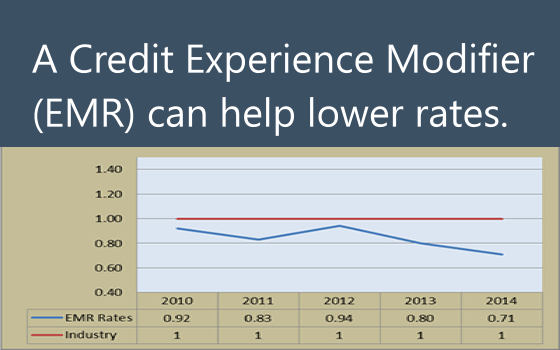 The Modification factor is applied to the base rates per class code in order to reduce or increase the rates based on the loss history of an employer. For example, if the base rate for the appropriate class code is $1.00 per hundred, a credit MOD of .80 would reduce the $1.00 rate to $0.80 cents per $100 of payroll. Conversely, a debit MOD of 1.20 would increase the rate to $1.20 per $100 of payroll. Most states permit insurance companies to apply scheduled credits and debits to workers' compensation rates in order to adjust an employers' premium up or down within a predetermined percentage limit. 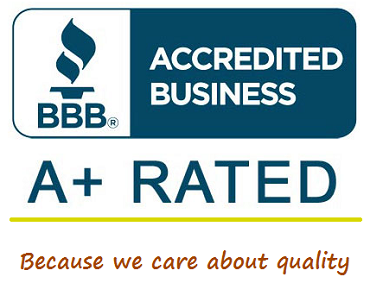 This scheduled rating is very subjective and affectively allows an insurance carrier to offer additional credits or debits based on unique conditions of an employer such as years of experience, safety staff, hazardous equipment, work environment, etc. State insurance departments generally require that the insurance companies document the reason for any scheduled credits and debits, but they are commonly used tools for underwriting and adjusting premiums and rates. Generally speaking, states either allow scheduled debits and credits up to 15% or 25% of premium. These adjustments can have a big impact on an employers' overall workers comp rates. Several states require insurance companies to offer automatic credits to employers who take specific steps aimed at reducing the frequency or severity of workers comp related injuries and claims. The two most common types of credits are for formal safety programs and drug programs. These credits generally require an employer to create and submit a formal drug policy and/or Safety program to the state or insurance company in order to receive additional credits between 3% and 5% of their insurance premium. Available state credits vary by state and percentage amount. Employers often do not know these credits even exist as many insurance agents and carriers do little to help employers qualify for these programs. When you consider all the factors used to determine a business owners' workers' comp rates, it's easy to appreciate just how much the final rates can vary between two similar classes of business within the same state. Scheduled credits or debits, experience modifiers, premium discounts, and state credits can amount to twice the cost or half the cost of an insurance policy. Employers have to be diligent in preventing claims to protect their MOD over time. They need to be selective in what agents and agencies they choose to represent their workers' compensation interests. They need to understand how underwriters view their business and if they qualify for additional underwriting credits or state credits available to them. Knowledgeable workers' comp agents understand that the true value-proposition for employers is based on their ability to negotiate lower insurance rates with carriers as well as providing additional services to help manage experience modification factors and other available policy credits. At Workers Compensation Shop.com, we're committed to helping employers achieve the lowest rates possible for their coverage. Compare the lowest and highest workers compensation rates for select class code from our top industries and programs. Easy Pay As You Go workers comp for employers who process their own payroll or use a provider without PayGo. No premium requirements, easier underwriting, and fast quotes. Outsource your payroll to our preferred payroll partners or ask us to work with your current provider. Pay As You Go workers compensation programs for Payroll Bureaus. We offer the most Pay As You Go workers comp plans in the country and manage the back-office administration. Tired of losing workmans comp business to ADP or Paychex? Let us help you offer Pay As You Go workers comp to your customers. Why Shop Workers Comp Rates With Us? Workers Compensation Shop.com monitors and tracks workers comp rates with our insurance companies for select classification codes and business types. Our goal is to help employers find the lowest rates for coverage based on their state, class codes, and unique aspects of their business. If you have questions about your insurance rates or think you should qualify for lower rates, contact one of our Workers' Comp Specialist for a free no-obligation policy review. 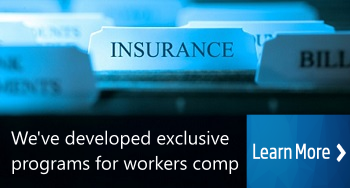 We will shop your coverage for the best workers compensation insurance quotes available. Finding the lowest workers compensation rates is easier to do when you work with a national agency that specializes in work comp coverage. Aside from having expert knowledge about the workers compensation industry, we have access to more of the top-rated and broadest workers comp insurance companies anywhere in the U.S. If your searching for the lowest workers comp rates available for your business, give one of our Specialists a call today at 888-611-7467 to see if your business qualifies for more affordable workers compensation coverage. Or start your quote online.